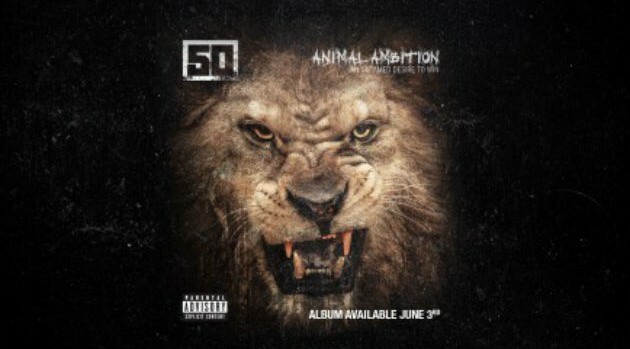 Caroline/Capitol Music GroupNow that he’s become an independent artist, 50 Cent is in full promotion mode for his upcoming album, Animal Ambition, arriving later this summer. The rapper’s newly-revamped website features the official artwork for his highly-anticipated set, which has a growling lion on the cover. In addition, 50 plans to give fans two new tracks — “Hold On” and “Don’t Worry Bout It,” featuring Yo Gotti — which will be released March 18 along with every album pre-order. Every week, in fact, the rapper will release a new track, leading up to the album’s release on June 3.